There is no description of ‘Harlequin’ in Macarthur’s notebooks and the parents are unknown. Probably a Camden Park hybrid. 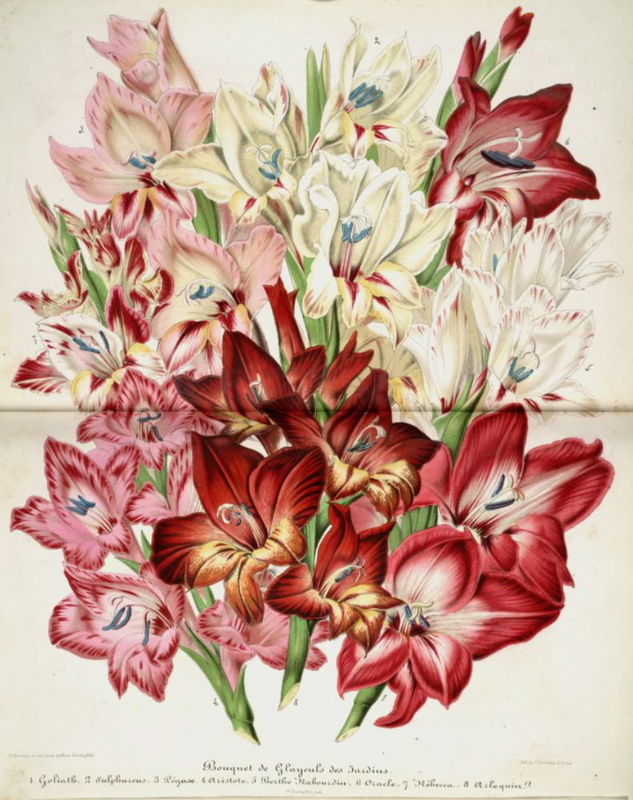 It was listed among three dozen gladiolus roots sent by Macathur to the nurseryman James Carter, Seedsman and Florist, of High Holborn, 8th April, 1846, requesting ‘a few roots of really good ranunculus’ in return. [MP A2933-1 p.128]. 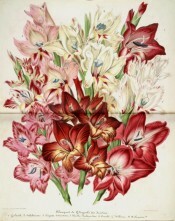 Although Macarthur later had an excellent relationship with Ambrose Verschaffelt, prominent Ghent nurseryman and proprietor of l’Illustration Horticole, particularly during the 1860s and 1870s, there is no record of gladioli being sent to Belgium. It is unlikely, but not impossible, that Macarthur’s ‘Harlequin’ is synonymous with the hybrid gladiolus figured in that periodical as ‘Arlequin’. This appears to be a Gladiolus x gandavensis hybrid. [IH p.154 Vol.4/1857]. ‘Arlequin’ and other Gandavensis hybrids is illustrated here.